Vivien Leigh recently celebrated her 50th birthday at her country home, Tickeridge Mill [sic], in Sussex, with the two people who are closer to her than anybody in the world — her mother, Mrs. Gertrude Hartley, 74, and her daughter, Mrs. Suzanne Farrington, 29. Also at the family party were the three most important men in Miss Leigh’s life these days — her grandsons Neville (aged five), Jonathan (three) and Rupert (one) Farrington. Since she left the London nursing home she was admitted to at the end of September, she has been living more quietly than she has for years. As all the world knows, Vivien Leigh, suffering from nervous exhaustion after a triumphant six months on Broadway as the star of the hit musical Tovarich, was brought home on a stretcher by plane from New York. In the seclusion of Tickeridge Mill, a lovely old farmhouse in several acres of grounds, she spent her days resting, reading, pottering around in overalls in the old-world garden and playing with her grandsons. The little boys, with Miss Leigh’s daughter and mother, were her only regular visitors. Mrs. Hartley’s vitality, sparkling blue-green eyes (which both her daughter and grand-daughter have inherited) and pink and white skin belie her age. Since her husband, stock broker Ernest Hartley, died two years ago, Mrs. Hartley has lived alone in a Kensington flat, concentrating on the beauty culture school she runs at her Dover St. salon for girls from all over the world — Persia, Africa, Australia, America and several European countries are represented by the current bunch of pupils. Serene, composed, self-sufficient, she has very definite ideas on beauty care, as on everything else. After visiting Vivien in the nursing home on her return to America ill and exhausted, Mrs. Hartley said sadly: “Vivien’s trouble is that she has never been able to relax. “But now she must, because the body gives in. Vivien Leigh’s daughter, Suzanne, is the child of her first marriage, to barrister Mr. Leigh Holman. Vivien Leigh was helped back to health by Mr. Leigh Holman. She spent a restful week as a guest at his home in Wiltshire. 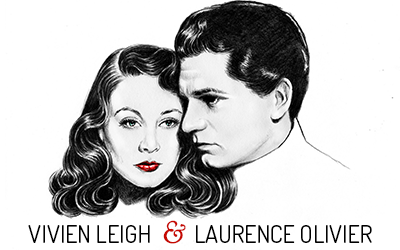 Mr. Holman, a retired barrister of 63, has never remarried since he and Miss Leigh were divorced in 1940 so that she could marry Sir Laurence Olivier. He has always been very close to his daughter, Suzanne, and there was a stir in British newspapers a few years ago when Vivien Leigh, Mr. Holman and Suzanne spent a holiday together in Switzerland. Suzanne has been happily married since 1957 to Lloyd’s underwriter Robin Farrington. As a teenager she longed to be a famous actress, like her mother, and studied for two years at the Royal Academy of Dramatic Art. But now she is utterly contented with her life, running a town house in Hyde Park Gate, visiting her mother’s home in Sussex and looking after her three small sons. Looking back, Suzanne Farrington feels that a major turning point in her life came when she was 19, about to graduate from RADA, and her mother was flown home to England suddenly from Ceylon, where she had been making the film Elephant Walk, suffering from physical and nervous exhaustion. Because of this illness she was unable to attend the Royal Academy’s graduation class performance, when Suzanne made her stage debut; Mrs. Hartley was the only member of the family there. Suzanne said afterwards: “Only sheer collapse has forced Mother to give up acting temporarily. I am going to think very hard about my future now. In the end, Suzanne plumped for the latter. She trained at her grandmother’s beauty culture school, and then worked as a beauty writer for a glossy magazine until her marriage. Her mother was happy about this. “I don’t recommend a career in the theatre,” she said, after Suzanne had given up her acting ambitions. It was a revealing comment from an actress who has been celebrated for her talent and beauty since 1939 when the world fell in love with her as Scarlet [sic] O’Hara in the film of Gone With The Wind. The London theatrical world is speculating now about her future. On her doctor’s advice she had to withdraw permanently from her role in Tovarich on Broadway, and there are rumours that she may retire for good and settle for the peace and quiet of her Sussex farm. But for a woman who has courageously beaten severe illness, tuberculosis, several times to return to acting, this seems unlikely. This was her first dancing and singing role, and Broadway critics adored her in it. She won the stage equivalent of Hollywood’s Oscar for it and became the toast of New York society. 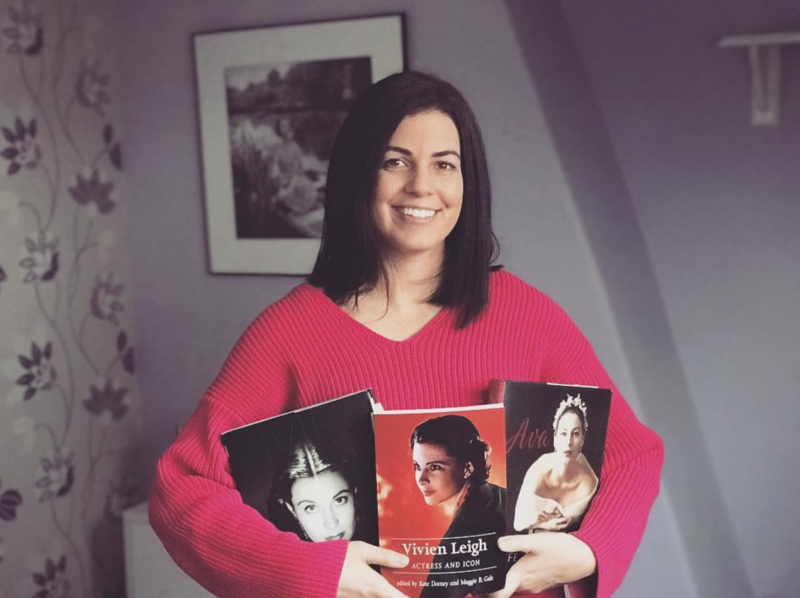 Whatever course Vivien Leigh’s life takes now she has joined the ranks of the “glamorous fifties”, among actresses like Marlene Dietrich and Joan Crawford, one thing she can rely on — the love and support of her mother and daughter. An interesting insight into the three generations of women with Vivien in the centre.The three women were also different in looks and temperament .Of course Vivien was gifted with great beauty and took after her handsome father although mother had good looks ,was not a beauty As for Suzanne ,she was plain and realised she would not succeed as an actress therefore decided to settle for a life of domesticity and Motherhood which seemed to make her happy .Gertrude also pursued a a successful career with her own beauty school in a fashionable part of London . Vivien “s life was hectic with long periods of illness which curtailed the films and stage work she could do. Having said that ,Vivien was one of the best actresses of her time Proof of that in her two academy awards. It is noteable that she had a fairly short life whereas Gertrude and Suzanne boyth lived to a good age. Thanks for posting. I enjoyed the article. Thanks for posting this article. I thought it was very insightful from Gertrudes and Suzanne’s perspective regarding the high price they perceived Vivien paid for being an international beauty and famous, talented film and stage star. It showed great caring and restraint on both their parts. It’s clear they let Vivien live life on her terms but were their to love and support her. It is interesting how little the public and press really new about the true nature of her illness.People then were far less intrusive about forcing the issue out into the public in all it gory details…The total opposite of how things operate today..